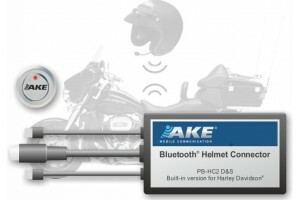 Bluetooth from bike to helmet, speech connection via on-board electronic to mobile, CB-radio, etc. 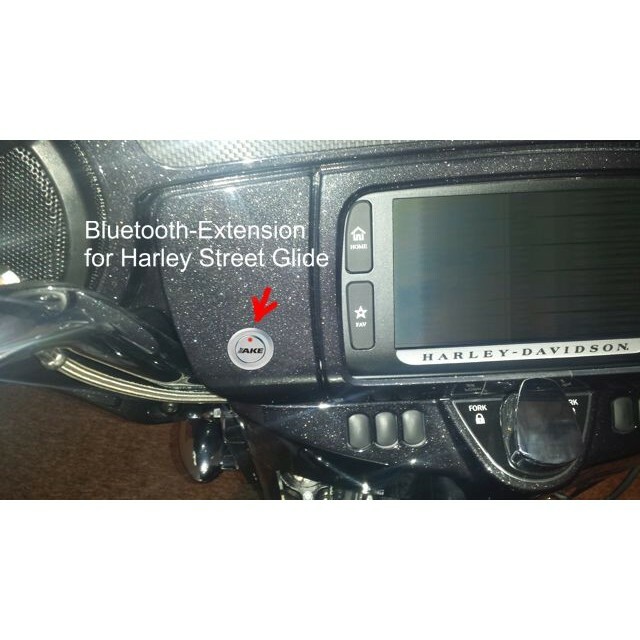 Your Harley Davidson intercom is still working with cable helmet sets? 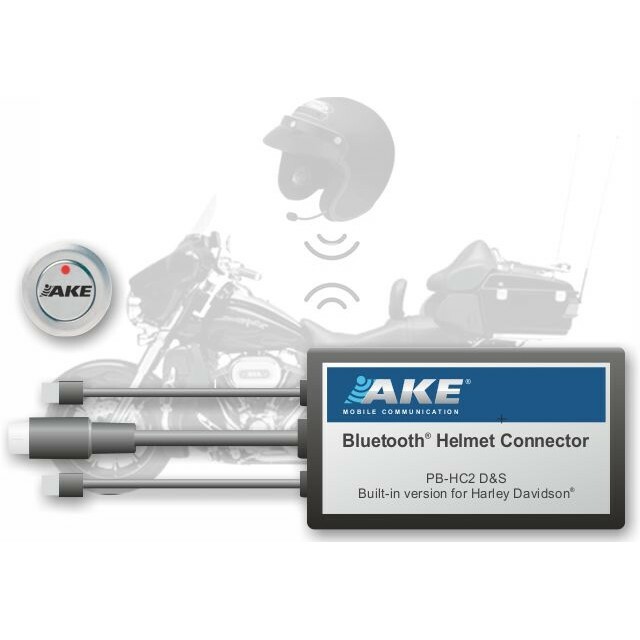 No problem, with this Bluetooth Helmet Connector from AKE you can make your wired helmet connection of your Harley Davidson Boom!Box™ Bluetooth capable. 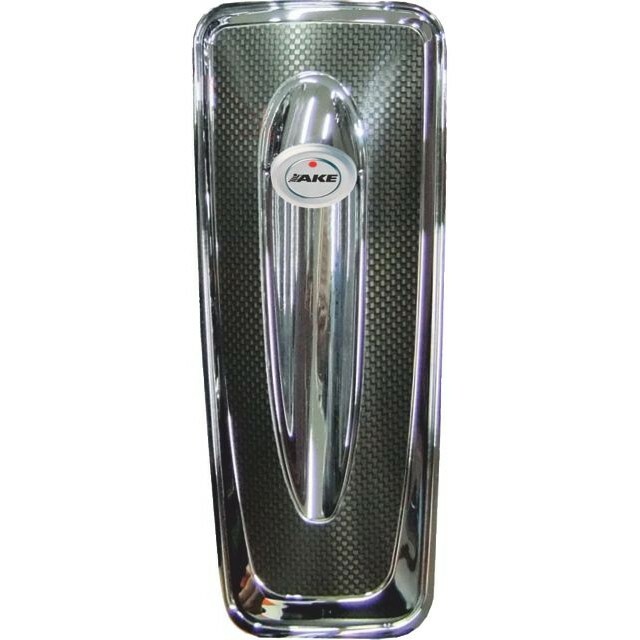 Radio, navigation, two-way radio, mobile phone, etc. can therefore be used without cables. Bluetooth operation either in duplex or stereo, switching by pressing the operating button***. To use all modes, we recommend a Bluetooth helmet from release 4.0 with hands-free profile (HFP) and stereo audio profile (A2DP). 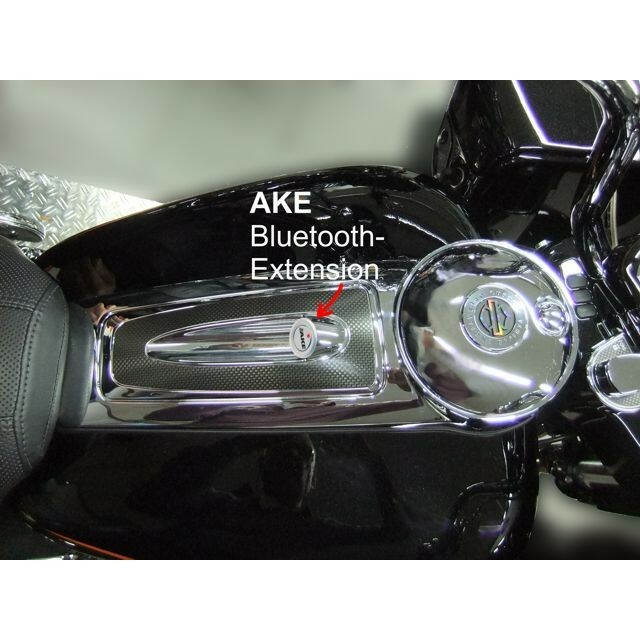 If you do not have a Bluetooth helmet, we recommend our ready paired Bluetooth Helmet Extension Set for Harley Davidson, Art.-no. : 31455. The Bluetooth Helmconnector as build-in version comes with a separate control button. This control button can be mounted in place of the helmet socket. 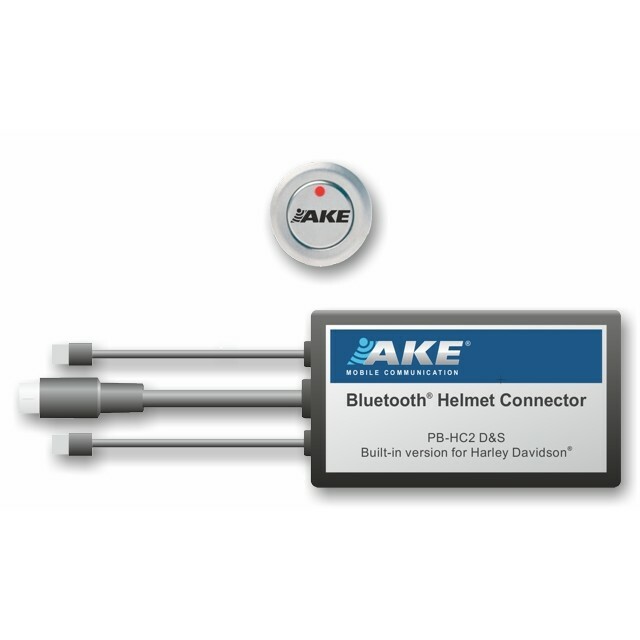 The Bluetooth electronics disappears under the respective cover and is there connected to the loose helmet-socket. The power is provided through the 12V on-board power supply. ***) System-induced, a simultanious transmission in Duplex and Stereo is not possible with Bluetooth connections.